Turntables, we’ve got your turntables. 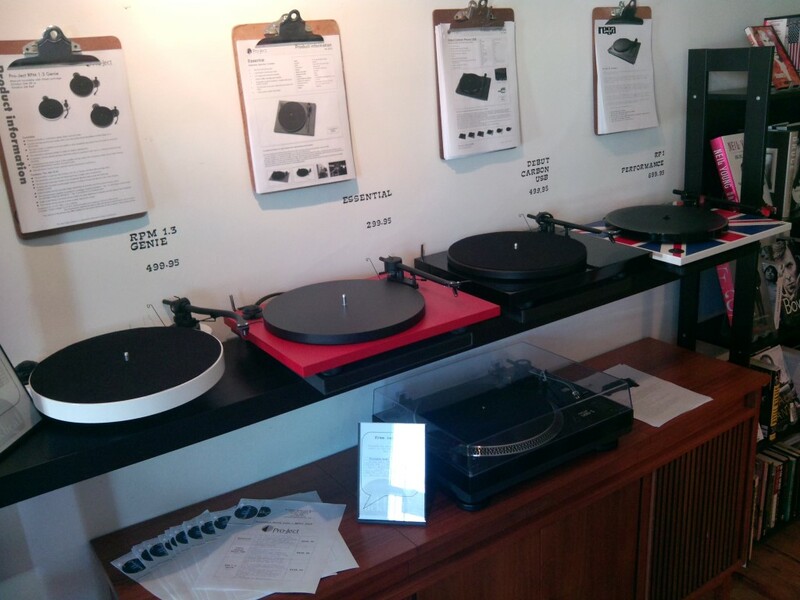 We sell turntables and phono gear from Rega, Pro-Ject, Music Hall and Ortofon. We carry a great selection of turntables from Rega, Pro-Ject and Music Hall. At Backbeat Books and Music you can also find pre-amps from Pro-Ject and turntable accessories including cleaners and those little 45rpm adapters. If you are looking for a specific model from these manufacturers that we do not stock, please contact us for pricing and availability. • Brand new Rega RB101 tonearm.• Precision main bearing and sub-platter assembly.• High quality low vibration motor.• All new Phenolic resin flywheel effect platter for excellent speed stability.• Ortofon OM5e• Rega sound quality at an unrivalled price. Previous Post Hey, who likes vintage vinyl? Next Post New Vinyl and CDs just came in today.